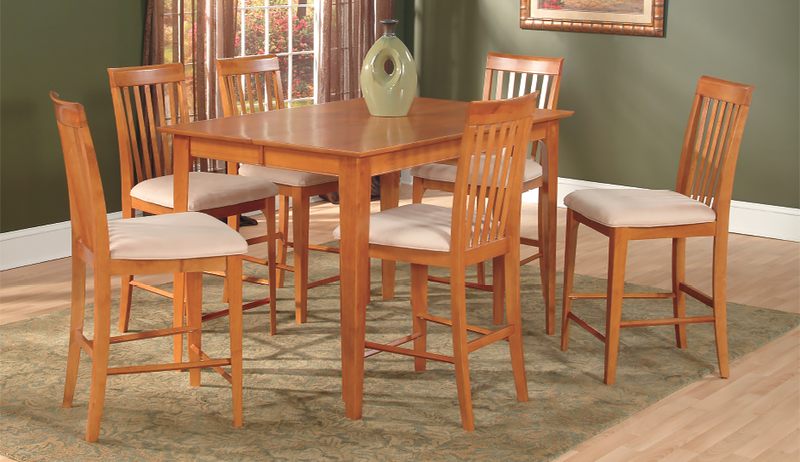 Let Atlantic Furniture complete your dining room and kitchen with our solid hardwood Dining & Pub Collections. 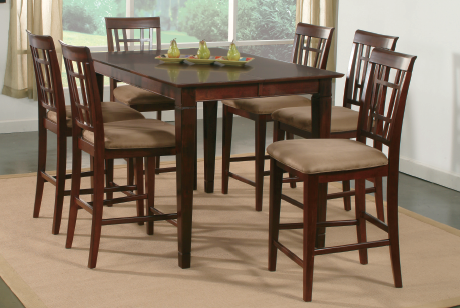 Choose from traditional dining height tables and chairs, or opt for a more modern pub height set. 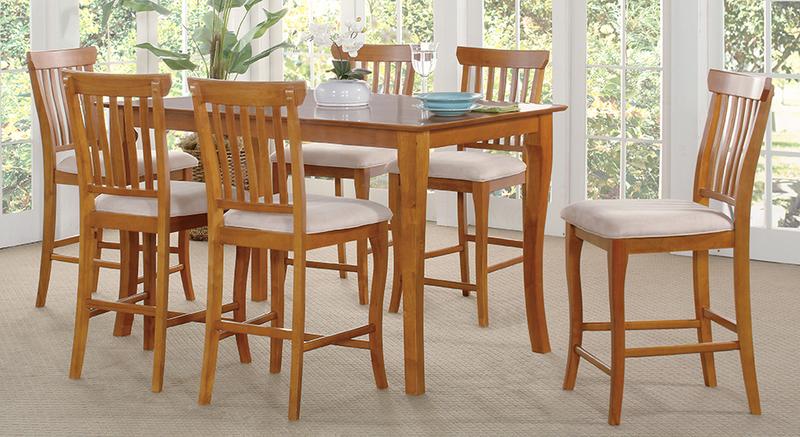 With four unique styles and three beautiful finishes, we're confident you'll find the perfect match for your home. 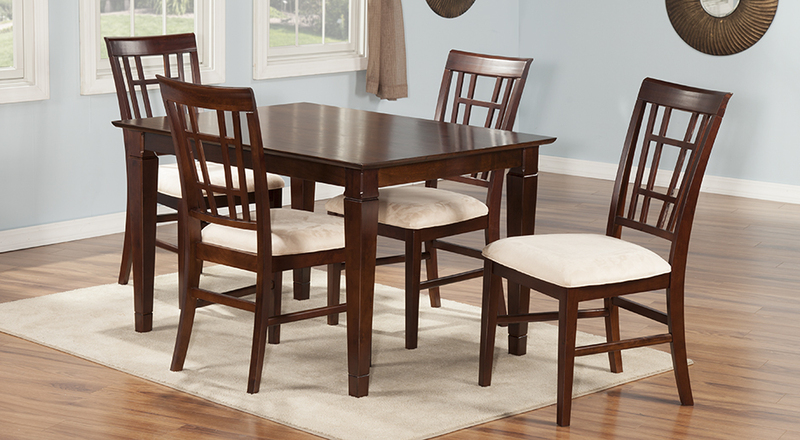 Our Dining Height table and chair set packages are perfect for your dining room or kitchen. 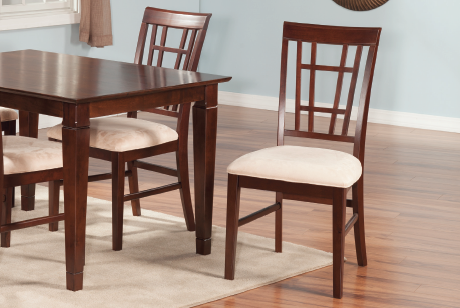 Standing at 29.5” tall, our dining tables pair perfectly with our 19.25” seat-height dining chairs. Available in three sizes. 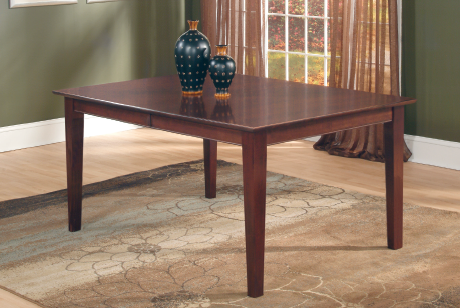 When taller works better in your dining area, our Pub Height sets rise to the occasion. 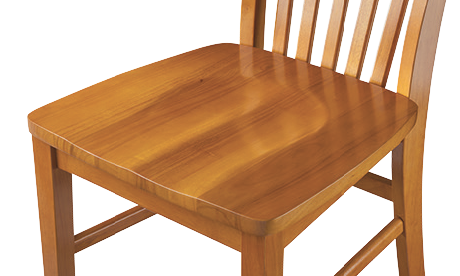 At 36” tall, our pub tables are the perfect height for 25.5” seat-height pub chairs. Available in three sizes. 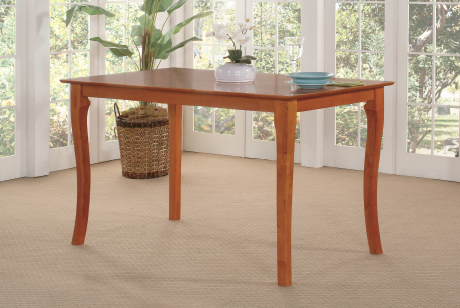 To withstand the wear and tear of everyday use, all Atlantic Furniture tables are constructed from solid hardwood and employ our signature high build five-step finishes. 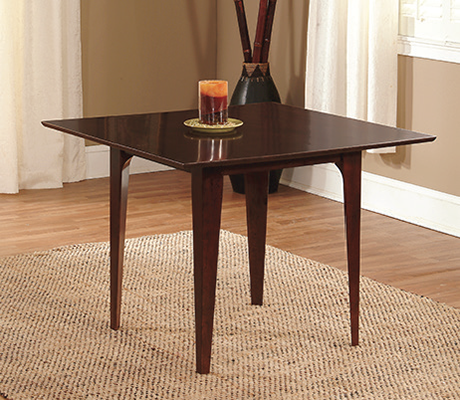 Each uniquely designed leg is secured to the table top using double hanger bolts, steel nuts, and lock washers for maximum strength. Calculated for comfort! The deeply curved chair backs provide ergonomic lumbar support to ensure the natural curvature of the lower spine is maintained. 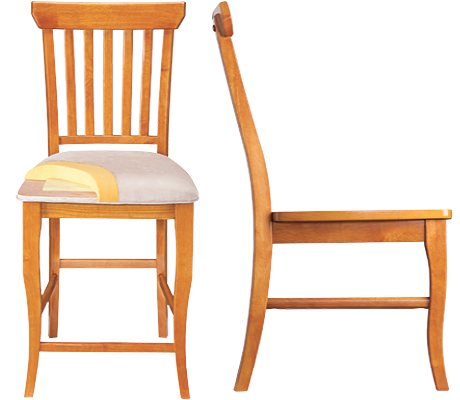 Our chair frames are composed of solid, eco-friendly hardwood and are assembled using the strongest joinery techniques. Structural cross bracing is added for increased stability and strength. 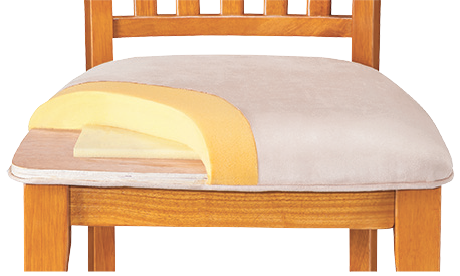 Our stain-resistant and washable microfiber cushions include two inches of flexible high density polyurethane support foam for maximum comfort. A 0.75” high density imprint-resistant foam core reduces cushion fatigue and extends the lifetime of your product. 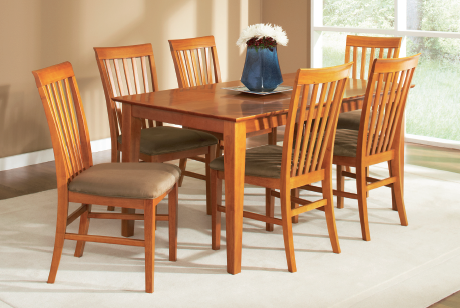 Atlantic Furniture chairs are also available with one-inch thick solid hardwood seat tops. 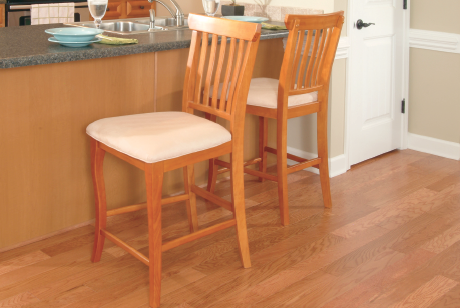 These wood seats feature a saddle scoop for optimal comfort, and are completed with our signature high build five-step finishes to prevent scratches and stains.